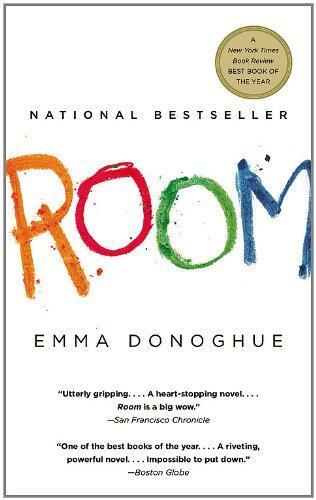 Born in Dublin in 1969, Emma Donoghue is a writer of contemporary and historical fiction whose novels include the bestselling Slammerkin, The Sealed Letter, Landing, Life Mask, Hood, and Stirfry. Her story collections are The Woman Who Gave Birth to Rabbits, Kissing the Witch, and Touchy Subjects. She also writes literary history, and plays for stage and radio. She lives in London, Ontario, with her partner and their two small children. Why do you think the entire novel is told in Jack’s voice? Do you think this narrative approach is effective? Discuss the ways in which Jack’s development has been stunted by growing up in Room. Has he on any level benefited from the seclusion? What would you do differently if you were Jack’s parent? Would you tell Jack about the outside world from the start? If Ma had never given birth to Jack, how might her situation in Room have been different? Describe the dynamic between Old Nick and Ma. Why do you think the author chose not to tell us Old Nick’s story? What does joining the outside world do to Jack? To Ma? Discuss the role that the news media play in the novel. In a comparable situation, how would you teach a child the difference between the real world and what they watch on television? Why do people tend to be so fascinated by stories of long-term confinement? Discuss Grandma’s response to Jack and to Ma in the wake of their escape. What are the emotional challenges Grandma faces in the circumstances? Which scenes or developments in the novel affected you most?